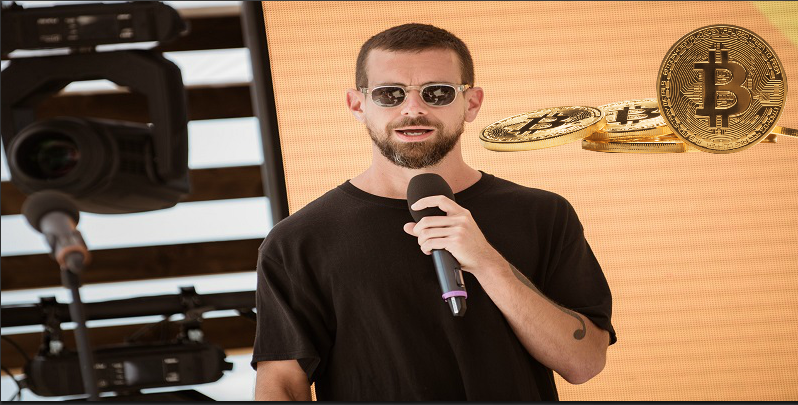 The chief executive officer of Twitter Mr. Jack Dorsey has come out in strong favor of the crypto currency Bitcoin and its future potential. Mr. Jack Dorsey is also the chief executive of a payment company – the name of which is – Square. By espousing his views, regarding the future of Bitcoin – he has shown immense belief into the concept of crypto assets. In a telephonic interview – which was published with The Times on the previous Wednesday; Mr. Jack Dorsey – who himself is an exceptional investor in the Bitcoin crypto currency; has articulated that – he is of the strong belief that the phenomenon of crypto currency in general, and Bitcoin in particular; is sure to take over the dominant position of United States Dollar in the global economic and finance markets – to become the worldwide held currency, as a method of payment. He has suggested that this potential shift in the position of Bitcoin as a premium currency of the world is bound to happen within the next 10 years or even less: " The world is certain to have a single method of payment all over the world – the internet has it – and my personal belief is, it is going to be the Bitcoin!". There has been a considerable amount of issues with the Bitcoin cryptocurrency which hinders its scalability and – ultimately cause it to become costly and slow! But Mr. Jack Dorsey is of the view that innovative and simple solutions of such problems too are in the pipeline; and ultimately they would end such difficulties. He added that – with more people joining the network of Bitcoin; such kinds of problems – such as scalability issues etc. shall end in their natural course of evolution. New technologies shall enter the market upon which blockchain and crypto assets could be based – thereby, making it even more approachable for the common people. Mr. Jack Dorsey has been in the news for investing his considerable amount of corpus in the same line where his mouth is! His efforts to come up with cheaper and faster transactions in the Bitcoin crypto currency are well applauded all over the board. Only the last week; the CoinDesk has reported that – Mr. Jack Dorsey has taken part in one of the funding initiatives – where $ 2.5 million were raised for the company – Lightning Labs. This startup – Lightning Labs has just started the trial version of its initiative – The Lightning Network. Lightning Network is a kind of protocol which is made over the blockchain of Bitcoin – with the purpose of speeding up the process of transactions with a lesser fees. This funding initiative has followed the trial of Square – which is a payment service provider in the United States of America. Square allows its limited consumers to sell and buy the Bitcoin crypto currency using its application the Cash App. Following the success of its trial – The Square is now fulfilling its Bitcoins service in Wyoming state of The United States of America and has applied for a BitLicense – so that, it may extend its service to the state of New York.